MTSU hosts screenings, panel a..
Blackman High School juniors who are part of the Blackman Collegiate Academy partnership with MTSU visited the university Tuesday, Feb. 12, and learned about biology research, how foreign languages can enhance their lives, unmanned aircraft systems and more. 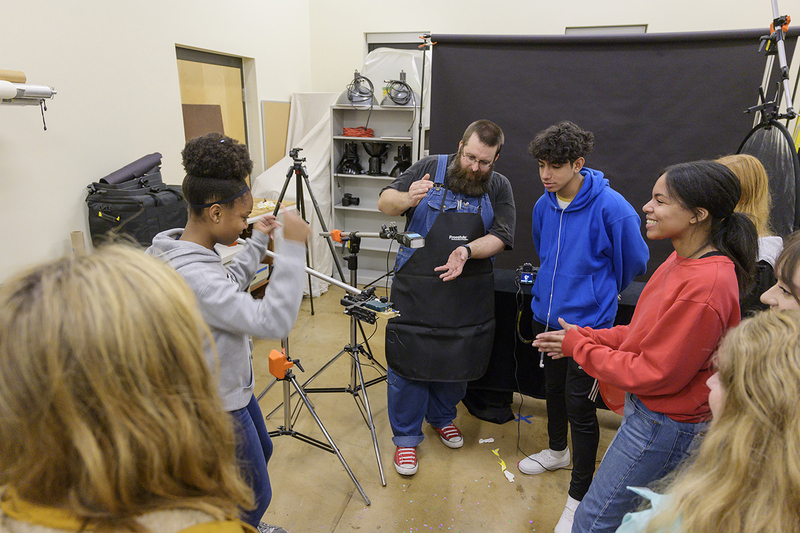 Eighty Blackman students visited MTSU as part of the partnership between the university and the Rutherford County high school on the west side of Murfreesboro. The MTSU-Blackman partnership visit is one of several arranged each semester during the academic year. The agreement gives Blackman students opportunities to spend time on the college campus, where they meet MTSU students, faculty and administrators and learn about many of the university’s 300-plus undergraduate and graduate programs. 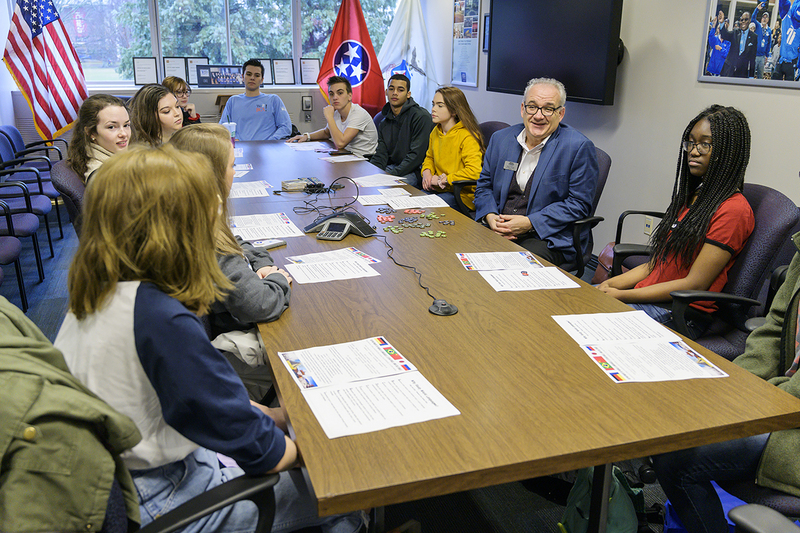 MTSU’s recording industry and physics and astronomy departments, the School of Nursing, Department of Theatre and Dance, the Mechatronics Engineering Program, College of Education, and photography program were among the options for Blackman students to visit on the BCA Day at MTSU. • Dr. Walter Boles, chair of the Department of Engineering Technology. • Christy Davis, director of the Ann Campbell Early Learning Center. • Dr. Lynn Boyd, chair of the Department of Biology. • Dr. Roger Pieroni, chair of the Department of World Languages, Literatures and Cultures. • Jonathan Trundle, associate professor of photography. • Theatre associate professor Kristi Shamburger. • Unmanned Aircraft Systems Program operation manager Doug Campbell. • School of Nursing assistant professor Barbara Lancaster. • Department of Media Arts chair Billy Pittard. • Val Hoeppner, Center for Innovation in Media director. • Dr. Ron Henderson, physics and astronomy chair. • Christy Groves from the James E. Walker Library. • John Merchant, associate professor in recording industry. 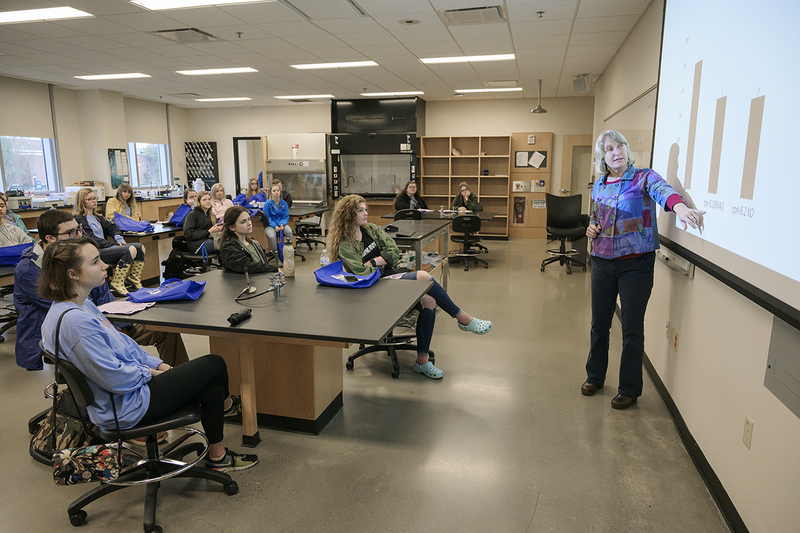 Earlier in the day, the visiting students learned about admissions procedures from director Linda Olsen and experiential learning from EXL director Carol Swayze. Blackman assistant principal Ken Reed, who is director of the collegiate academy, led the BCA students during the visit.